The DTV switchover in the U.S. put the 700 MHz band largely out of bounds for many wireless audio product users. The Federal Communications Commission’s Incentive Auction, now moving through its latter stages, will eventually take away access to much of the 600 MHz band. 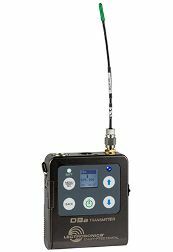 With the available spectrum continuing to shrink, this year’s NAB Show will see the rollout of numerous new wireless audio products and services that can help operators cope with an RF environment that is changing not just in the U.S. but also worldwide.